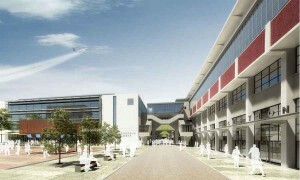 Italian Technology Center (ITC), the new center for the promotion of the Italian industry of capital goods located in Pune, was inaugurated on 6th March 2013. It was born from a network agreement signed by eleven companies manufacturing machine tools and plastic processing machines. Promoted by UCIMU-SISTEMI PER PRODURRE and ASSOCOMAPLAST, reference associations for the two sectors which the network companies belong to, ITC is part of the concrete initiatives established by the Ministry of Economic Development and FEDERMACCHINE, the federation of manufacturers of capital goods, included in the vast Machines Italia in India project, conceived in order to support the Italian companies penetrating the Indian market. ITC will be led by a team of local officials in tight coordination with the Italian institutions. Promotion of both the individual brands and the ITC brand, development of new contacts with the institutional world and Indian culture and first after sales service point are the main tasks during the Center’s first period of activity.